This extension integrates the SETEFI MonetaWeb 2.0 payment gateway by Banca Intesa San Paolo on Magento 2. The payment module Banca Intesa San Paolo - SETEFI MonetaWeb 2.0 lets you receive credit card payments that are accepted by the gateway. This module integrates the XML Hosted 3DSecure protocol. This extension integrates SETEFI MonetaWeb 2.0 payment gateway. The extensions enables an additional payment method in Magento which, if used, redirects the customer to the payment page hosted by the payment provider. When the customer completes the payment it will be redirected to the Magento default thank you page (or to the failure page if the transaction has not been authorized). Then the extension receives and handles the server-to-server payment notification. If the payment is successful the related order will be set automatically to the processing state. If the payment action is Authorize & Capture the invoice will be automatically created too. 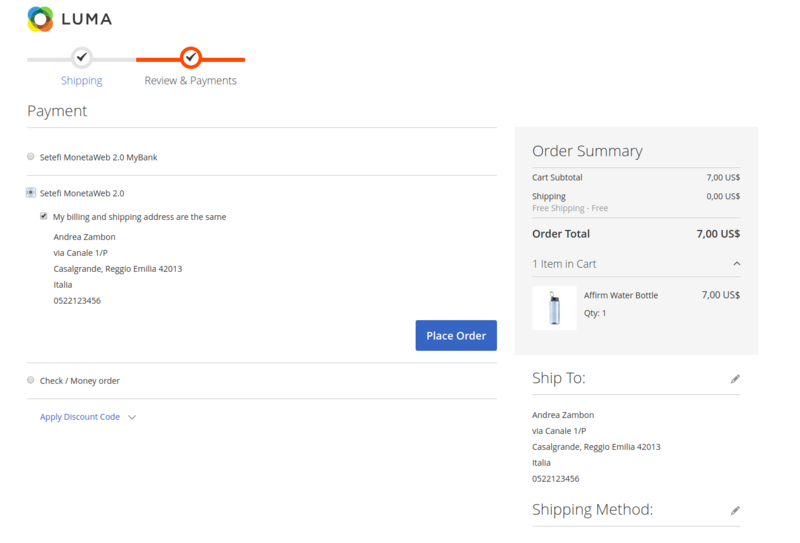 On the other hand, if the payment action is Authorize Only, then the module supports the capture of all or part of the previously authorized amount through the invoice creation feature of Magento. 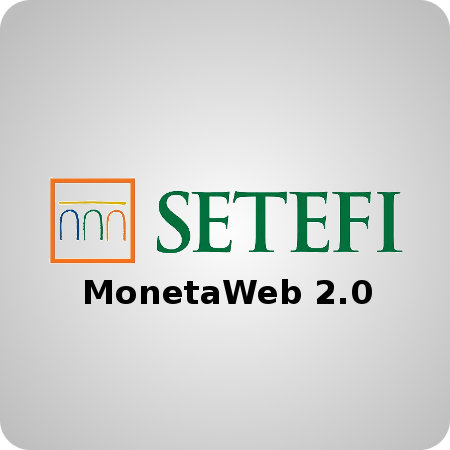 SETEFI MonetaWeb 2.0 "Payment Gateway" support payments with Credit Cards and MyBank.